Pump It Up has expanded its borders (literally), bringing you more inflatable fun at an international level. With the newest addition of the Monterrey, Mexico location comes all the benefits of the locations in the United States, but with Mexican flare. What does that mean exactly? Read on to find out more. Come one, come all, for everything kid and everything birthday. In the States, Pump It Up brings joy to birthday boys and girls with giant indoor inflatables, games, and even an inflatable throne. Birthday parties get a private space all to themselves, which includes games and a lounge area, all in an indoor inflatable setting. There is even a custom option for food, drinks and more. The staff at Pump It Up decided to bring all of that birthday goodness to Monterrey Mexico. That means the same fun-filled experience with the same high standards no matter which location you choose. 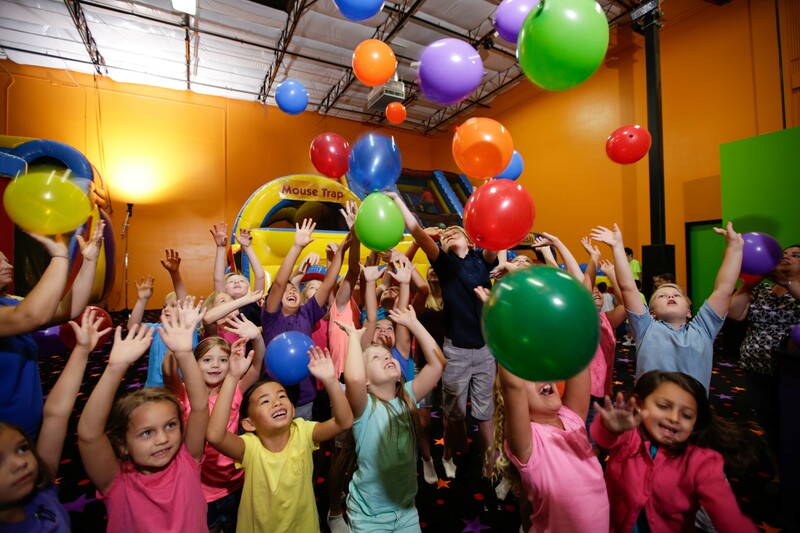 If your family is the type to go on vacation for a birthday and you’re thinking of taking that vacation to Monterrey, Mexico or surrounding areas, book a party at Pump It Up! They will take care of all your birthday needs, so you can enjoy the vacation and the birthday celebration without any hassle or wasted vacation time. Reservations are simple and easy. The party is a blast. And the cleaning is not your problem! The team at Pump It Up helps you every step of the way. Just the way it should be. So you can relax and enjoy your time away. And isn’t that the goal of every vacation? Can you believe that there is more? You better believe it, but this time it’s all about the group events. Children as part of field trips can come play and jump in their own safe, private arenas complete with food and drink, if so chosen. And just like the birthday parties, the Pump It Up team will make your experience a smooth and easy one. And they are philanthropists, too! Pump It Up Summits helps interested parties organize a fundraiser for any organization. Guests can jump and enjoy the huge inflatables all for a good cause. Teams of any kind can also enjoy the inflatable fun with access to a private party room for prizes and trophies to be displayed. You surely don’t need to wait for a special occasion to make your day a happy one. If you live in or near Monterrey or plan to go there for vacation, they have plenty of “Open Jump” times to make any ordinary day feel special. And to top it off, they have events throughout the week where any child can come for a good time. So next time your child is on vacation from school, it’s a gloomy rainy day, or you’re all just itching for a good time in beautiful Monterrey, get on over to Pump It Up to brighten the day. Look at that, an ending with a rhyme. It must be true! Awesome blog! Pump it up is a good idea for party…! We’re actually planning a vacation near Monterrey, Mexico at the end of the summer and our twins will have their birthday while we are away. I had been trying to come up with something special to surprise them with when I came across your page. It really sounds exactly like what I’m looking for! Lots of fun for the kids and I won’t have to do anything to set it up or clean up afterward. That’s a win/win situation for me! I will make reservations as soon as we finalize our plans. So glad I found this place!